Centrally located at district 3, these flatted B1 factory offers a practical and easy access to town and suburbs area via AYE and CTE. 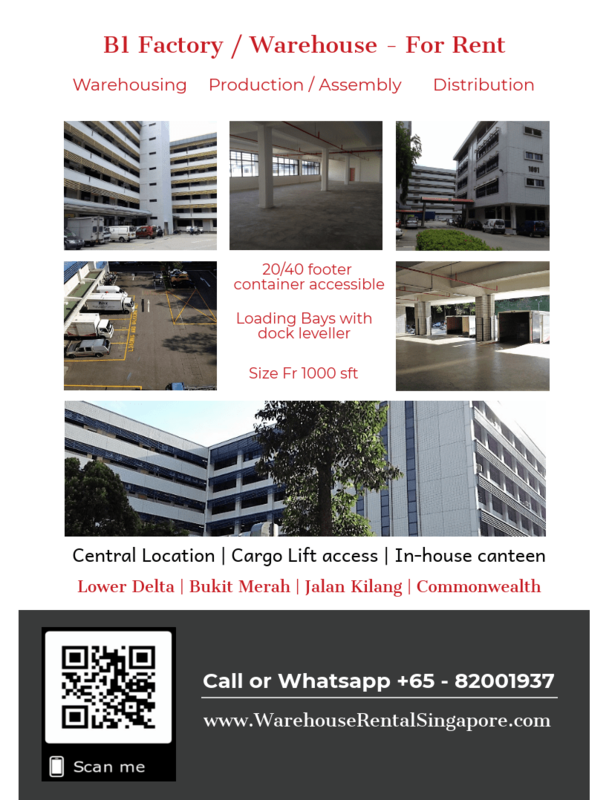 These flatted warehouse are strategically located at Lower Delta and Bukit Merah and surrounded by many residential area. They are also near to Tiong Bahru and Redhill MRT. Various sizes are available for warehousing, production, distribution, and office space subject to URA 60/40 rule. Most units available are in bare condition with some rare occasion where there are fitted units for take-over. Floor plan layout are generally squarish or rectangular, suitable for warehousing and production activities. B1 factory / warehouse for rent, Flatted Factory.